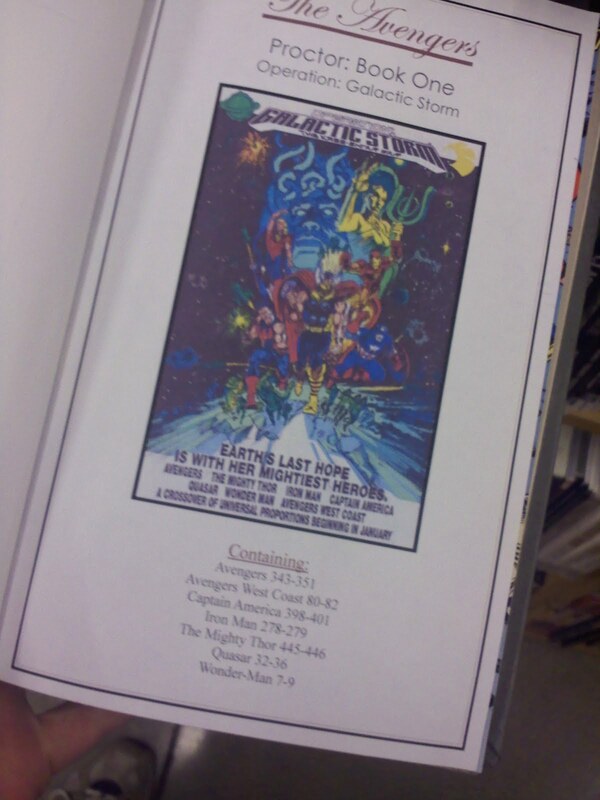 My first thought was that it was some book related to the Avengers television show that had Patrick McNee in it, but I quickly noted that "Operation Galactic Storm" was very much a Marvel event back in the 1990s. But I didn't recall a hardbound edition ever coming out, and it didn't seem to have any Marvel branding on it. A quick search online found several places that do this type of work specifically for comics, and the prices I'm seeing look quite reasonable, often starting in the $20 range. Not sure if it's something I'm going to be doing myself any time soon, but it makes for an interesting idea for binding those stories that haven't and/or aren't likely to receive their own printed collection from the publishers. 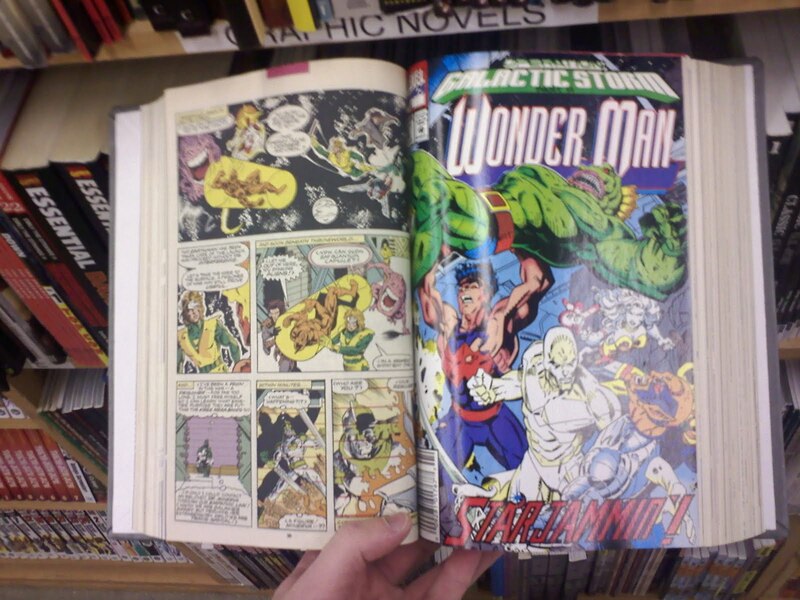 I'm particularly thinking of things like Rom, the Space Knight or Doc Savage where the rights-holders are decidedly different than the original publishers. Obviously, that doesn't mean they'll never be collected (after all, many of the 1970s Star Wars and Conan books that were originally published by Marvel have since been collected and re-released by Dark Horse) but the legal hurdles are higher than when Marvel wants to reprint, say, any Spider-Man story they've ever done. 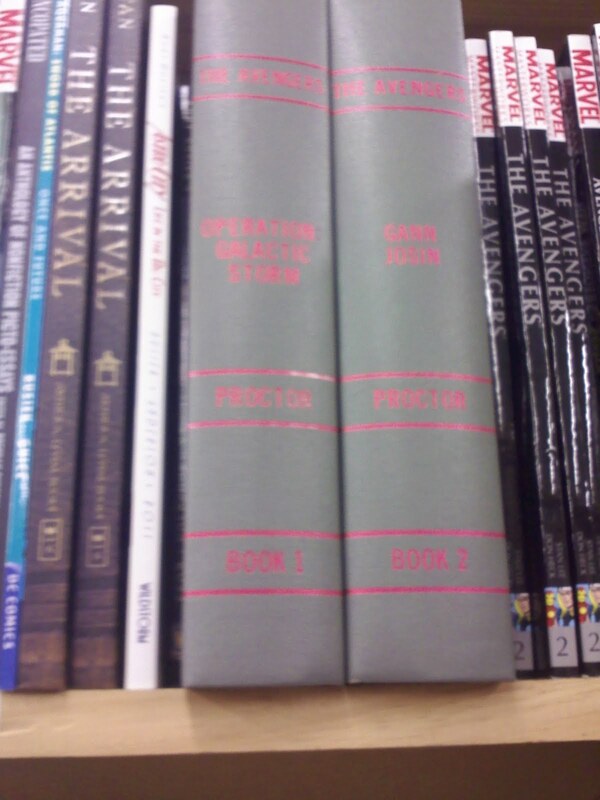 Anyway, comic book binding. Clever idea, and one that's evidently become MUCH cheaper than the last time I looked into it a decade or so ago. 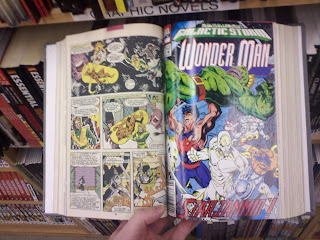 Dude, that is a SWEET surprise find at Half Price Books. Awesome. I've had some of my floppies bound, especially the ones that aren't in too good a condition.